Whatever your moving needs may be, Meathead Movers will help you feel at home in Aliso Viejo. Our professionally trained student-athlete movers and our moving concierge will be with you for the entirety of your move to Aliso Viejo. 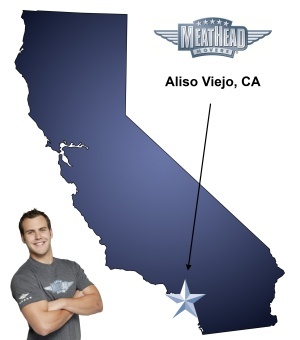 Welcome to Meathead Movers Aliso Viejo Movers! Aliso Viejo is a notable town in beautiful Southern California. With business centers, shopping, and resorts, there is plenty to do in this bustling region of Orange County. Whether you are moving to Aliso Viejo for work to enjoy the area, you’ll want to check out what Meathead Movers has to offer. If you are into sports or relaxation, Renaissance Club Sport, a new $65 million hotel resort and fitness center, offers state of the art fitness equipment, classes, and a relaxing spa. The Aliso Viejo Town Center also contains several good shopping, dining, and entertainment options. In addition to plenty of opportunities for recreation, Aliso Viejo is also home to several corporate headquarters, making the town a great place to work and play! No matter if you’re moving to Aliso Viejo or to another California city, you will want to check out Meathead Movers. We specializes in local, long-distance, and commercial moves to, from, and within Aliso Viejo. We also provide reliable packing, storage, on-site relocations, and our distinctive moving concierge service. We offer several advantages over other Aliso Viejo movers, and we are confident that we will earn your trust, your respect, and your business. We are so confident in our high-quality service that we even offer a 100% satisfaction guarantee. All our Aliso Viejo movers are clean-cut, respectable student-athletes who are trying to earn some extra money for college. We ensure that we hire only the best, by putting all our potential movers through an extensive screening and training process before they are allowed to work as a Meathead. Even though we have a bunch of great guys working for us, sometimes you want someone with a more gentle touch to help pack your fragile items. Our sister company, Princess Packers, similarly contains a bunch of All-American young women who are trying to work their way through college. They’ve been professionally trained to handle even the most fragile items, that way you can focus more on your work and other responsibilities rather than worrying about your move. Moving to Aliso Viejo? Here are some helpful resources. View more Aliso Viejo resources. The professionalism, quality of service, teamwork and integrity. Nick and Blair are just fantastic. The packers worked quickly and efficiently. They made the process very easy.